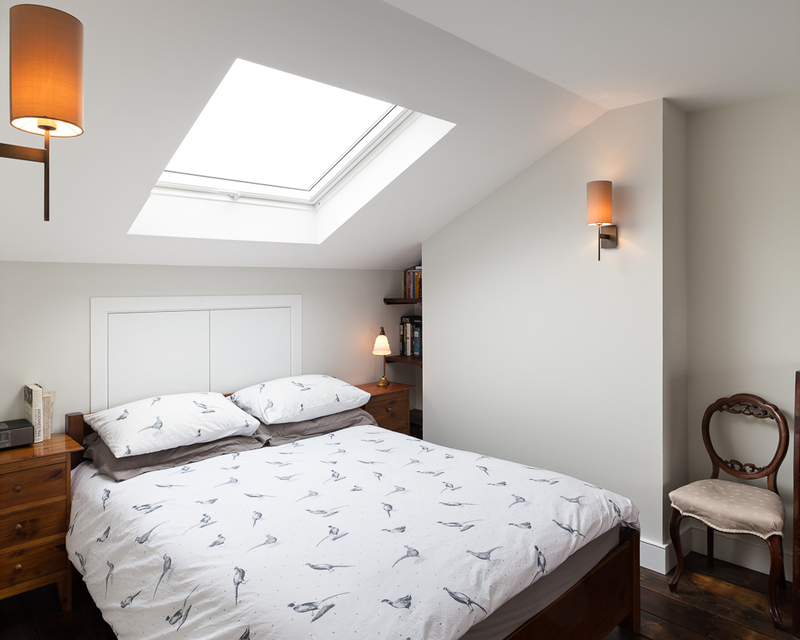 We were approached by the clients for this mansard roof extension in Dalston to complete the interior design and construction detailing. 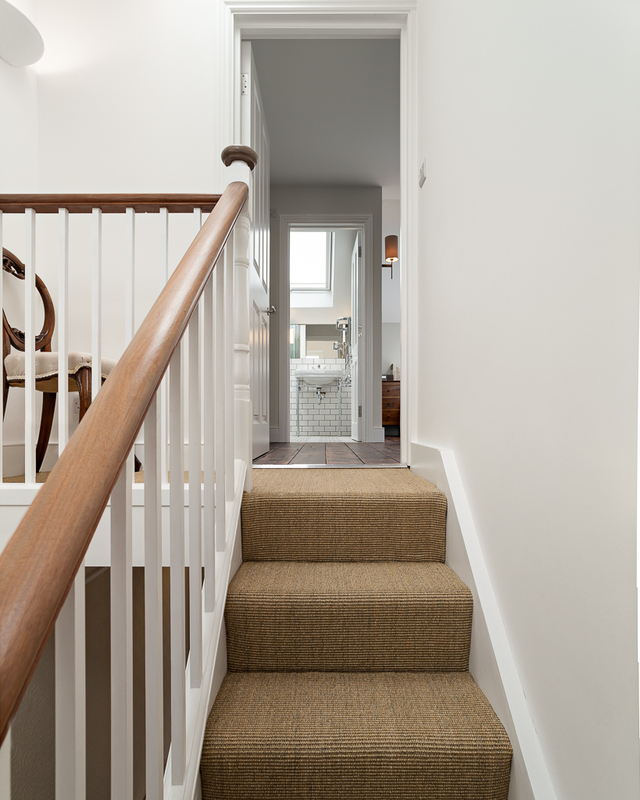 Outline planning permission had already been achieved for the extension to what was already a three storey house with a basement flat beneath. 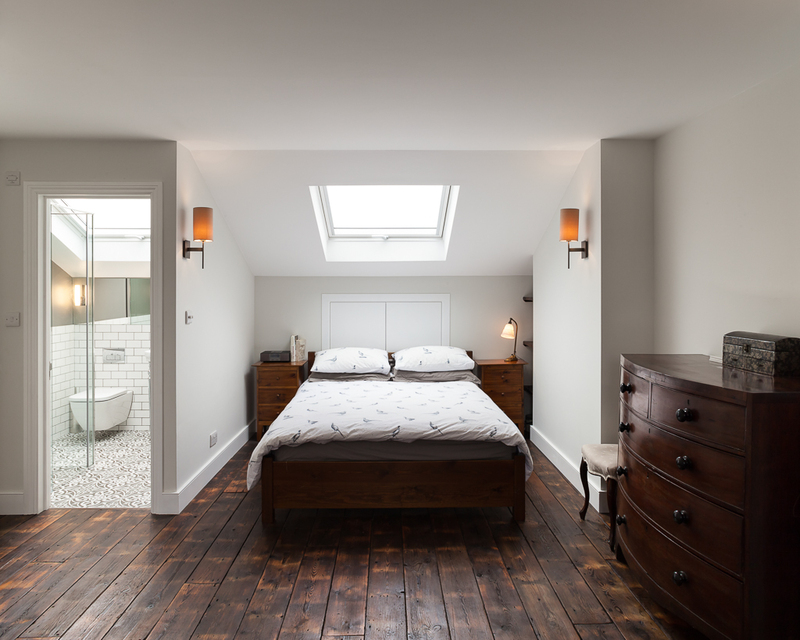 The internal arrangement of rooms was reprioritised in order to provide more of a master suite feel. 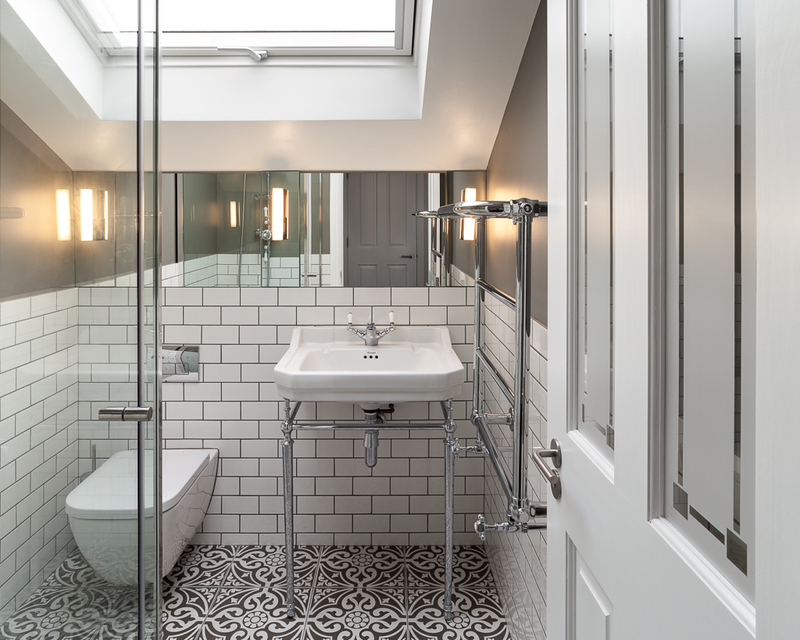 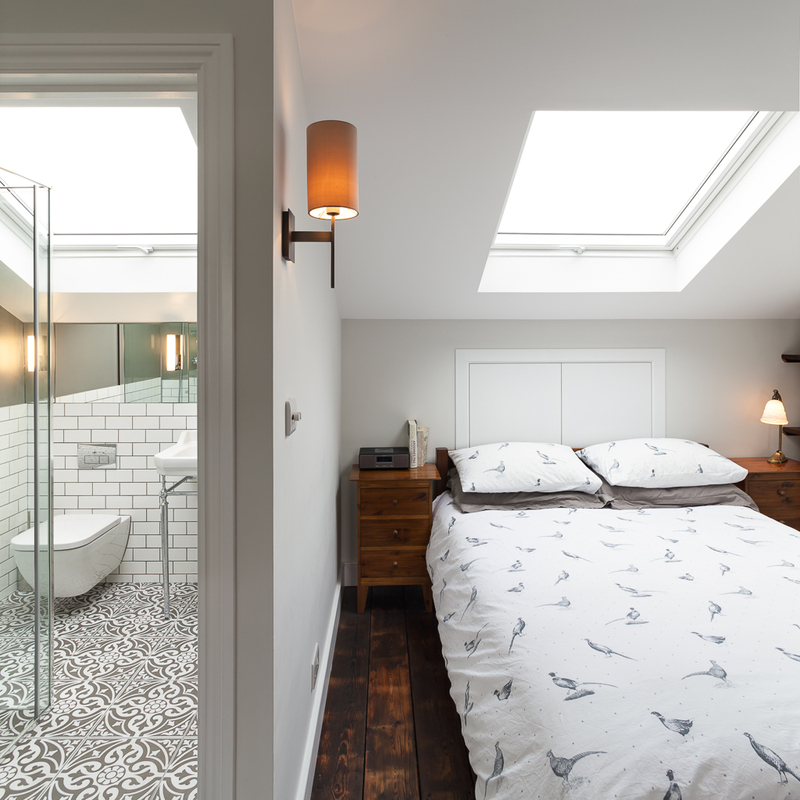 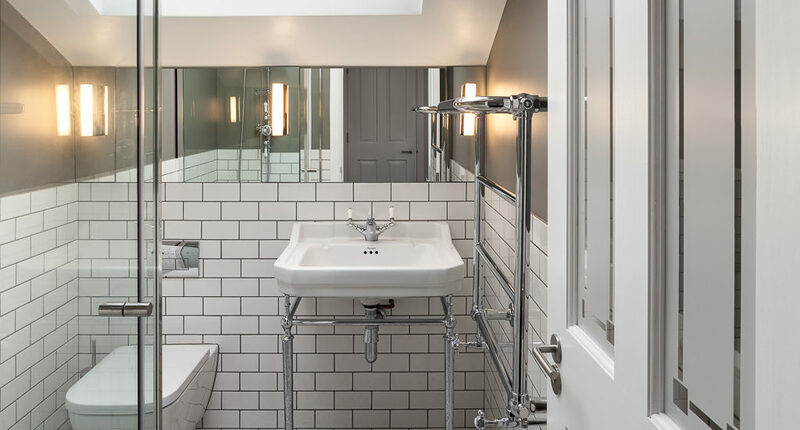 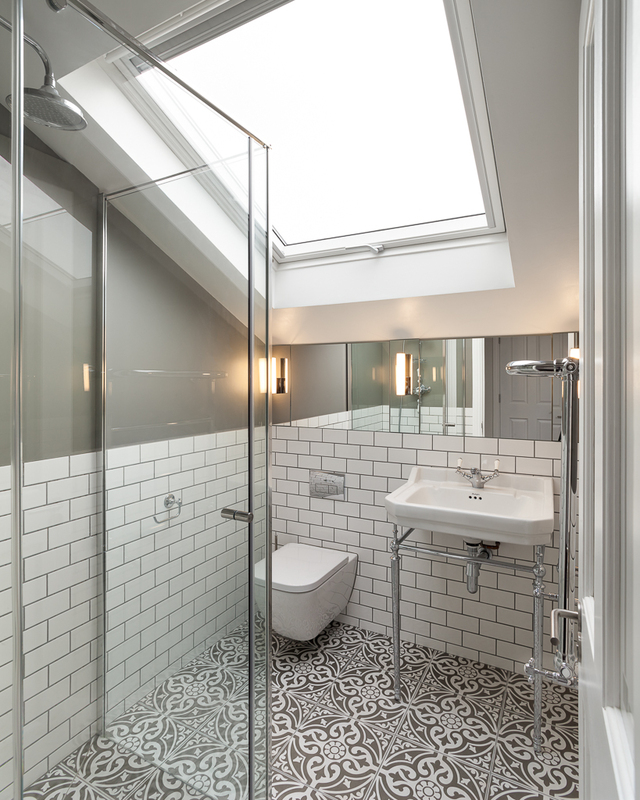 A small ensuite was created in the sloping roof to the front of the house. 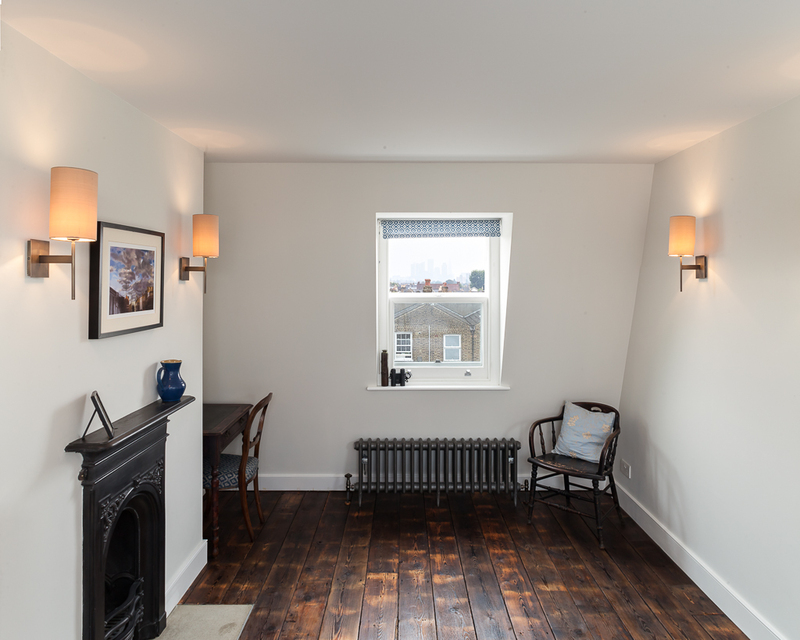 This allowed us to make the most of the views over the London skyline from the new sitting area. 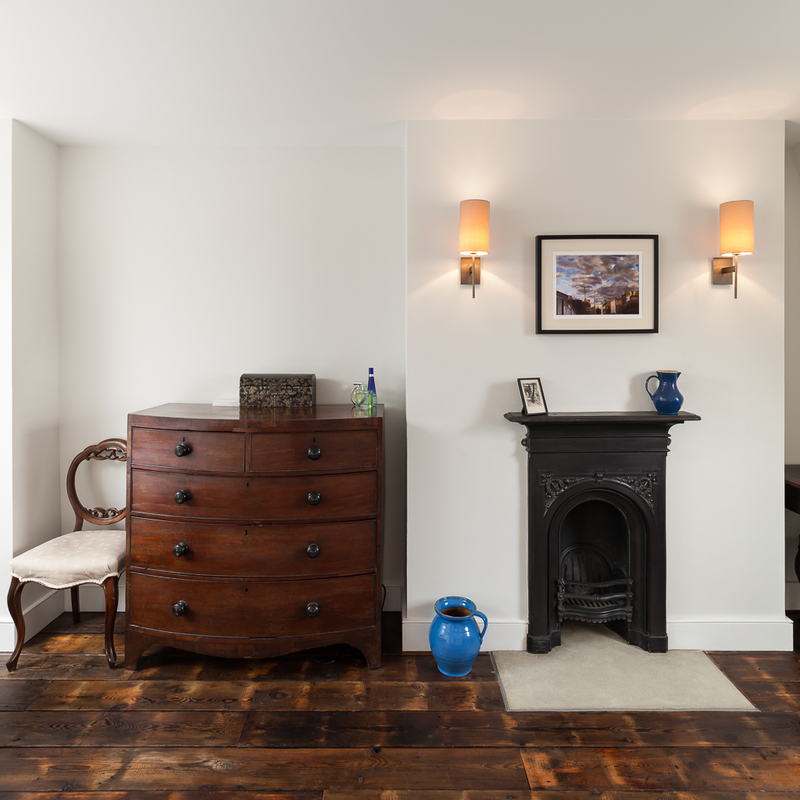 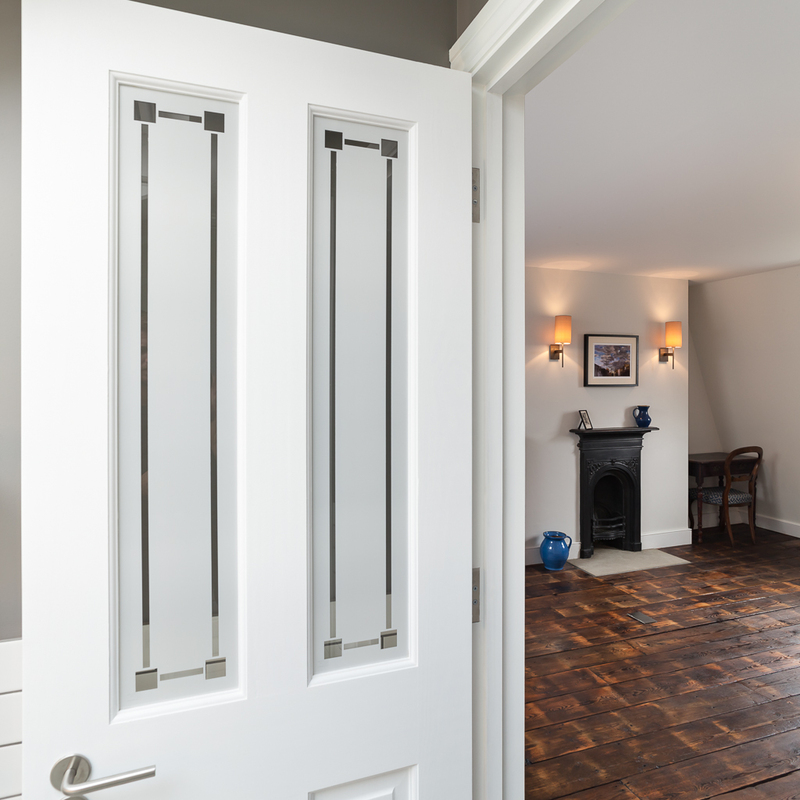 Following the completion of the works by Outside In Construction; bespoke, minimal, fitted furniture created abundant storage without overshadowing our clients’ collection of period pieces. 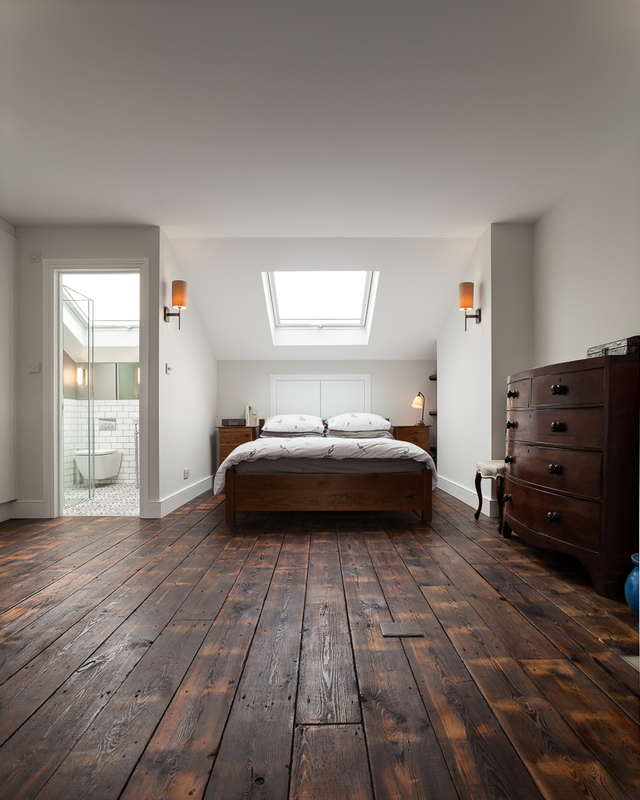 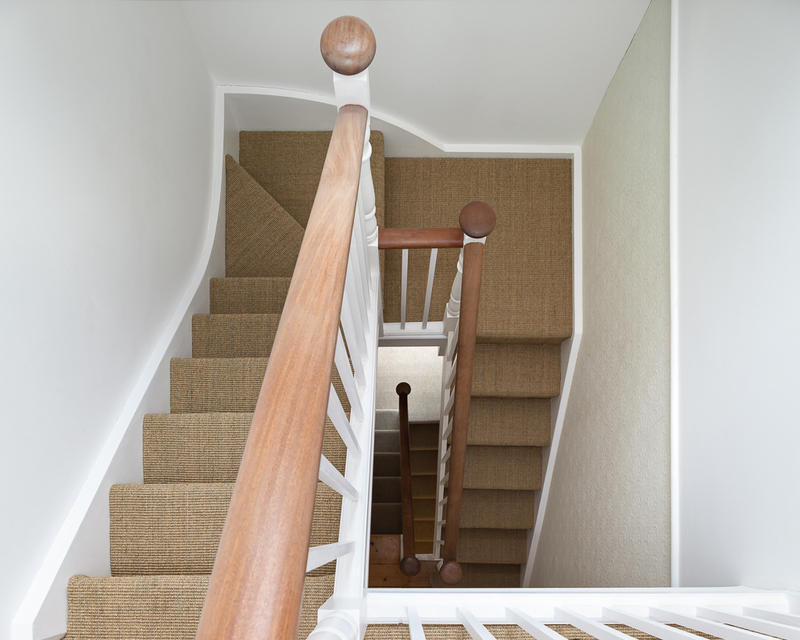 The bedroom floors were finished in reclaimed timber. 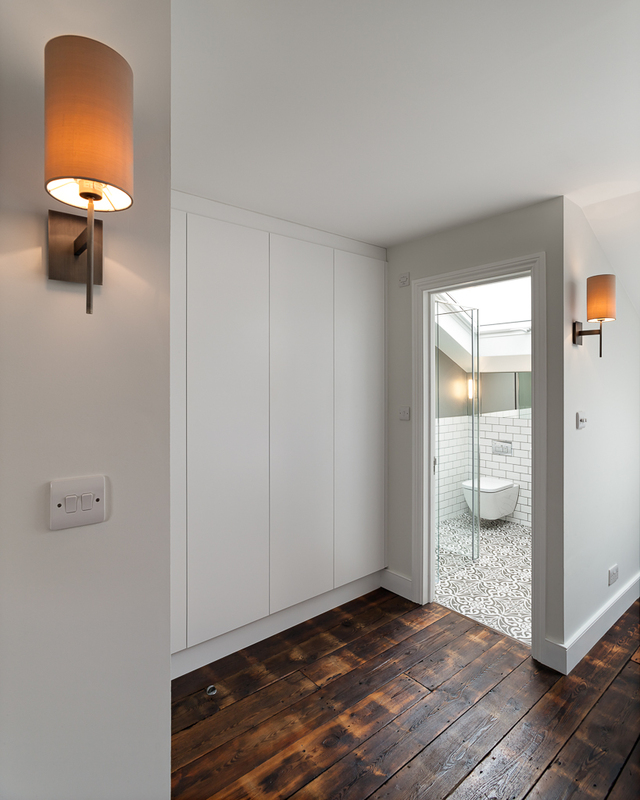 The bathroom fittings create a seamless blend of the contemporary and traditional.